I watched it folks. Sweepstakers. I didn’t delete it either. I saved it so I can show my husband what’s going on in this crazy country. Just when I thought extreme couponing was enough to make me crazy… this other reality show comes on television and I’m hooked. I’m such a SUCKER! With all this extra time on my hands, I’m desperate to DO and TRY anything. 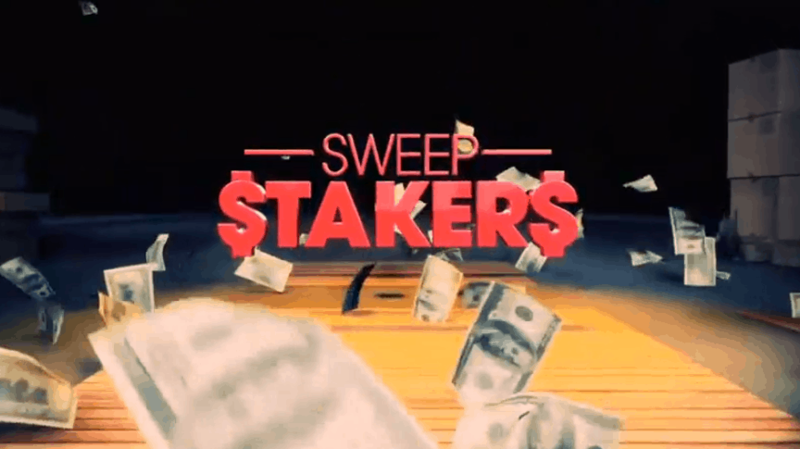 The Sweepstakers spend 5-8 hours a day entering contests. I obviously can’t handle that… but I can give it an hour or two. That’s for sure. I mean… what else am I going to do. LOL. In case you didn’t watch Sweepstakers, the reality show follows several women who spend the majority of their time entering contests. What have they won? Well, just about everything! Cash. Trips. Cars. Computers. Cameras. ETC. You name it and they won it by entering a contest. Setback number 1 — you have to pay taxes on EVERYTHING you win. So, I won’t be entering anything that has a prize I really don’t want. What if I actually win it? Then I have to pay taxes for something I’m going to give away anyway? No thank you! Setback number 2 — it seems that there are a lot of SNAIL MAIL contests to enter. I can’t get into that. So, I really won’t be able to fully get into this. Setback number 3 — multiple day entries. Not for me. These women keep track of contests and enter them once a day to maximize their probability of winning. I know I won’t remember to do it once a day… so that stinks. I have no idea where to start. Going to do a little research today to see if there are websites out there that have lists of the latest sweepstakes and try to do it that way. I have three weeks before I get off of bedrest — going to give it a shot! I started a new email account and Facebook account to use specifically for this purpose. I dont want to clog up my inbox. heahea! I watched this too and was in total shock! I can’t believe how much they win. The taxes are the big thing. I was just talking to my coworkers about this show and we were saying how trips are probably reported in value with the maximum price possible. I can see how a car may be worth winning if it was a reasonable car…I’d rather just pay taxes on a car rather than the whole cost of a car itself! But I’m not sure about a Furious Five car… heahae! Yes this show is unrealistic and showed how much they cheat- I tweet and do little else ad only tweet to keep me busy while in downtime in work and even they cheat on twitter- playing for mult family members or forms of their name. One of the ladies admitted they cheat by usng mult computers and is just begging for an audit. Everything is taxable- even twitter party wins and people say well they did not give me a tax form- trust me they do audits of companies to verify prizes were given out and can track a person that won faster than you can spit. EVERYTHING is taxable so do not enter for something if you do not want to win the fun of paying taxes on it. I sw on the private chat board someone also said bloggers who do reviews do not have to pay tax on those review items- wake up people it is taxable not a gift. The IRS will be busy I see with alot of groups and may help to bring down our huge debt. Hey when you when the boat let me know… wish and blink and it will happen haha like the car the girl wanted- yes it was set up and bad. I usally enter a few sweeps a day and several blogger giveaways. I’m thinking I need separate emails and FB for it too. I’ve won gift baskets, gift cards, cookbooks, jewelry, books, cooking tools…nothing very expensive. The most expensive win was a Carhartt coat worth about $180 that my son is enjoying. I also use Swagbucks as my search engine. Earn bucks to cash in for gifts or gift cards. Average $20 per month. If anyone would like to check it out, I can send you a referral link. If you get friends to sign up thru your ink, you actually earn bucks when they do up to a certain amount. I love free money. I usually enter one the one entry per person and blog sweeps. I spend a couple hours a day at it and won $1100 in “stuff” in November and $599 in December. I do have a few daily entry sweeps I enter and will usually even enter other “daily’s” just once because you never know – one of the winners of the HGTV Dream Home sweeps won that with just his one entry.I think it’s fun (and I’m an insomniac, so it gives me something to do), but the key is to pick and choose what you really want to win – and read the rules of every contest! Good luck!! It’s only taxable in the US. You don’t pay taxes on any winnings in Canada. Lottery winnings and prizes etc are tax free.